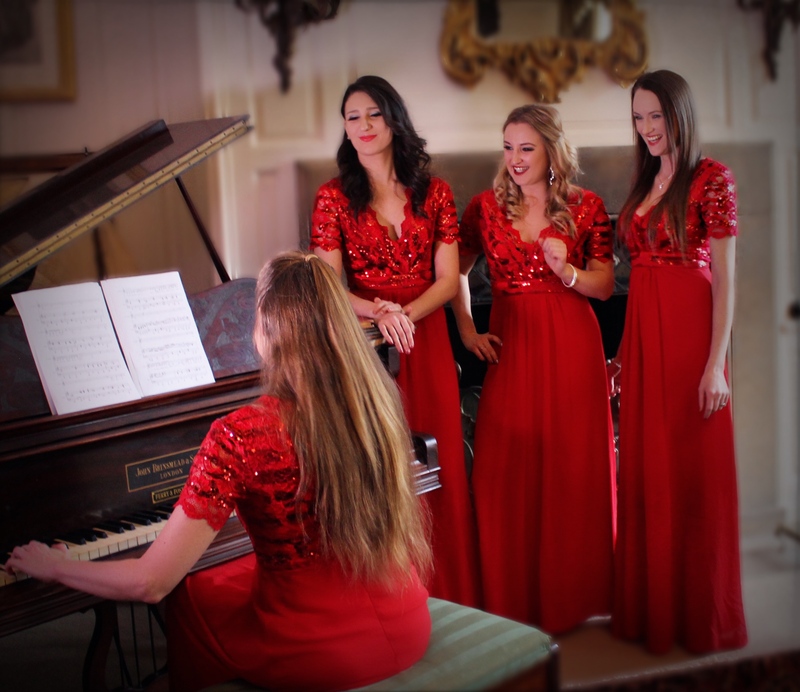 This Christmas, treat your guests to the gift of harmony with the sophisticated sounds of The Sleigh Belles! 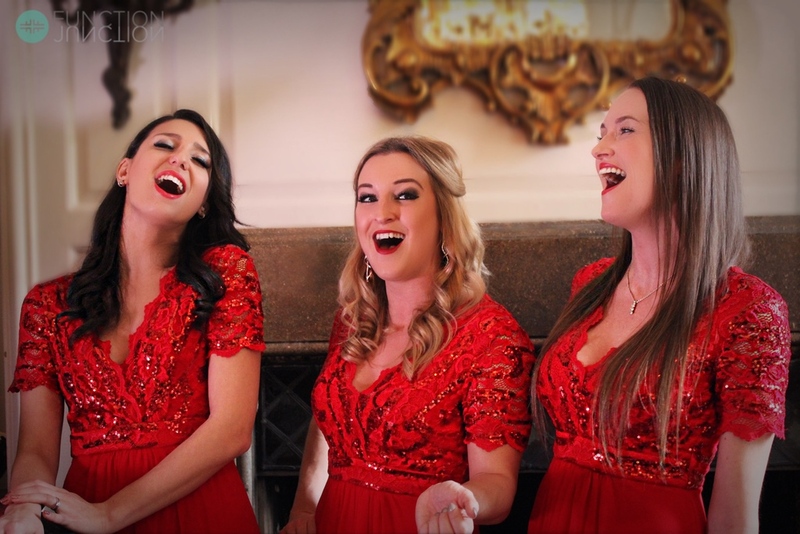 The Sleigh Belles will dazzle your guests with their own original arrangements of joyful Christmas classics and modern festive favourites which are served up in style by this radiant vocal group. 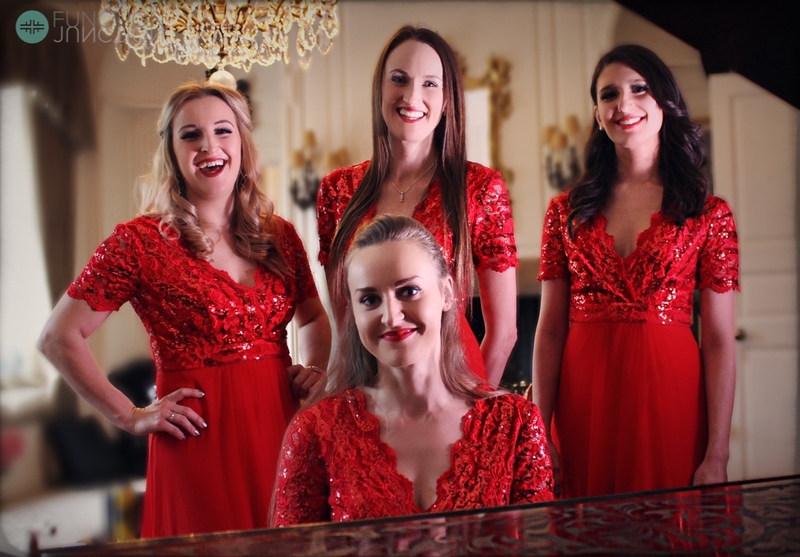 For a touch of class this Christmas, The Sleigh Belles are the perfect addition for drinks receptions, background dinner entertainment, private soirees, hotel residencies & retail events. The Sleigh Belles have been performing together for over a decade. They are no strangers to the world of entertainment and over the recent years this highly trained, professional team have performed in numerous West End Musicals including Mamma Mia, Cats, Les Miserables, Fame, Grease, Evita, Oliver, Billy Elliot and Blood Brothers. The team have also performed all over the world on major cruise lines such as Royal Caribbean, Celebrity, Holland America, Fred Olson, P & O, Carnival and Princess. In addition, they have appeared in TV shows, films, commercials and their voices can often be heard on TV and radio adverts as well as performing backing vocals for well know recording artists & bands. The girls have quite a CV! 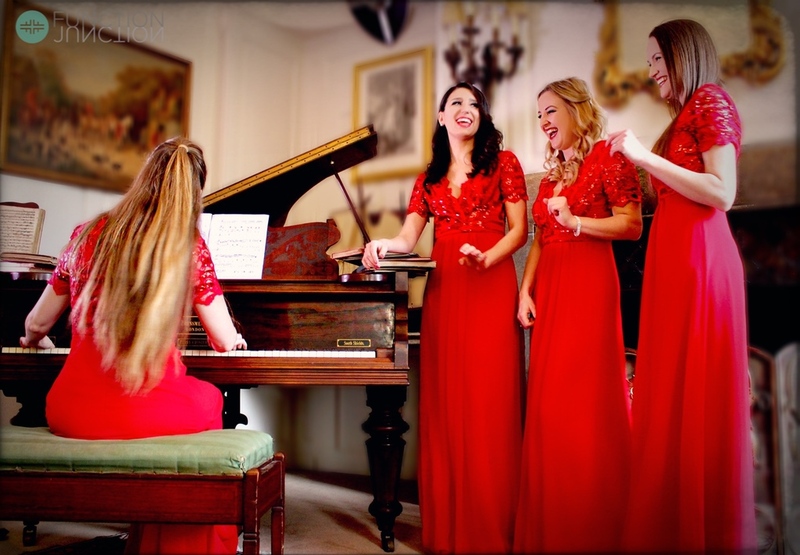 As well as providing live entertainment for well-known personalities including none other than the British Prime Minister, The Sleigh Belles have performed at numerous private parties, corporate events including award ceremonies, product launches and sporting dinners, golf clubs, casinos, hotels, retail events & restaurants. . .